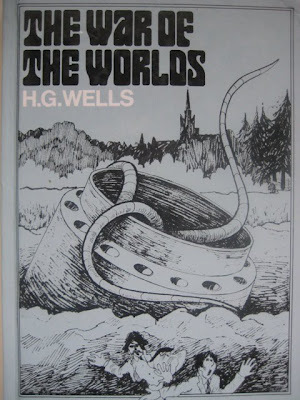 Wissy's blogspot: H.G.Wells and "War of the Worlds" part 3! 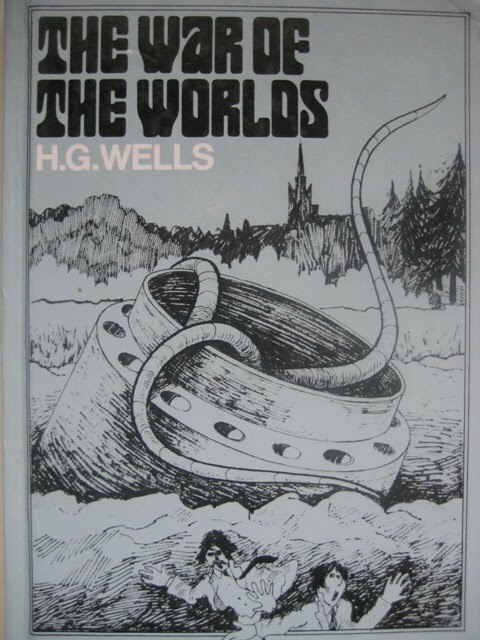 H.G.Wells and "War of the Worlds" part 3! I have in the past mentioned in this blog the connection of H.G.Wells with my home town of Woking(link here) . He wrote his most famous novel "War of the Worlds" whilst living here in 1898. He based his novel of an alien invasion from Mars in and around Woking, Surrey and West London. Much of the landscape and areas he described in the book were real places that he came across on his long walks and cycle rides in and around the town. Having extolled his novel I thought it would be a good idea to get a copy and read it again, the last time I read it was a in picture book form when i was about eleven or twelve. Anyway i'm glad i did. I found the novel fascinating and quite refreshing, very easy to read and for me knowing and recognising the streets, villages and landmarks quite a surreal experience. He even mentions the Mosque. If you haven't read "War of the Worlds" do yourself a favour and get hold of a copy and enjoy! I must read the full book!!! I absolutely love the story, as you know, and am planning to visit your area this spring.